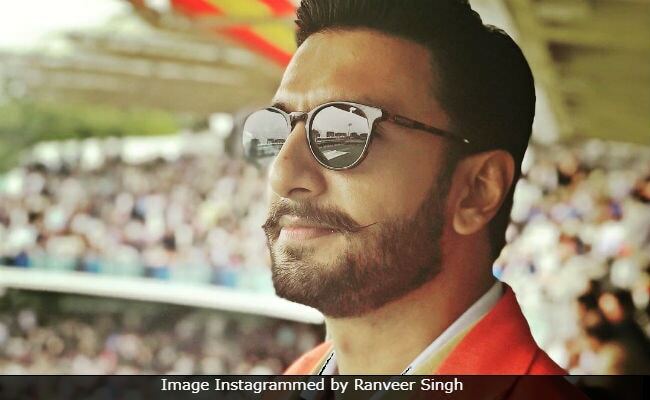 Ranveer Singh, who is currently prepping for '83, is excited about being a part of the film which is based on India's iconic win at 1983 Cricket World Cup. During an interview with news agency IANS, Ranveer said that he feels "honoured" to be a part of a film that highlights the "most glorious chapter" in the sporting history of the country. "It is an absolute honour to have been able to lead an ensemble of characters that are so significant in our history," IANS quoted him as saying. The 33-year-old actor, who will be seen playing the role of legendary cricketer Kapil Dev in the movie, was all praises for the former skipper of the Indian cricket team. He told IANS: "It is a film based on the most glorious chapter in India's sporting history - the Cricket World Cup. I play Kapil Dev in the movie. It is my first biographical portrayal of an individual who is still out and about, doing such great work." Ranveer, who has impressed the audience with his acting prowess in films such as Bajirao Mastani, Goliyon Ki Raasleela Ram-Leela, Dil Dhadakne Do and "Padmaavat" among others, said that he hopes to "charm the audience" with his upcoming films as well. "I hope that the upcoming projects continue to charm the audience just like my past work has," Ranveer said. Meanwhile, Ranveer Singh has been actively sharing pictures from the preparatory sessions of the film on social media. The actor, who was in London last week, shared pictures from the Lord's Cricket Ground. The pictures also featured Sachin Tendulkar and '83 director Kabir Khan. Directed by Kabir Khan, '83, is slated to release on April 10, 2020. Ranveer Singh will next be seen in Zoya Akhtar's Gully Boy, which also stars Alia Bhatt. Ranveer also has Simmba, co-starring Sara Ali Khan in the pipeline, in which he will be seen playing the role of cop named Sangram Bhalerao.